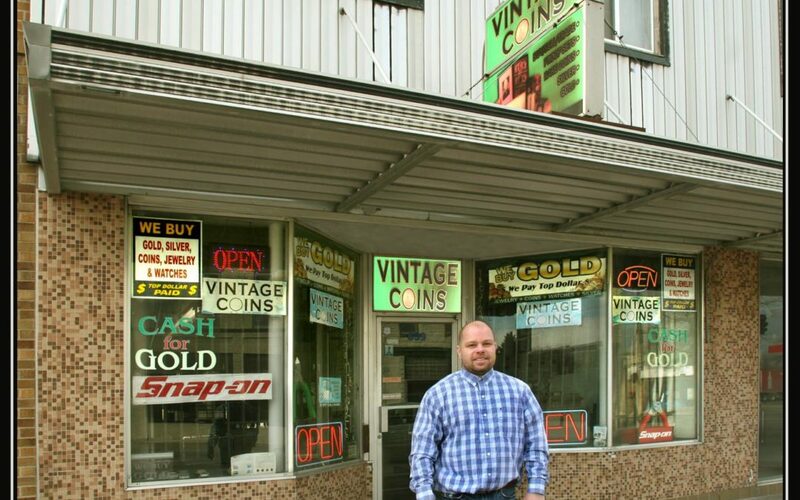 Vintage Coins has been in business for 10 years right here in Historic Downtown Fremont. James buy’s and sells vintage coins and gold. Accredited and a A+ rating with the BBB. Here’s what I know. I walked in, met James, we talked about his business and I told him of my project to photograph each and every downtown business. Stern at first, James smiled and said, “sounds fantastic, let’s do it”. I just love these small, operator owned, downtown businesses.